The big news was the bypass around Hoover Dam but the big improvement for travelers included the Arizona side access. That upgraded the road to near freeway spec. What you might notice on that stretch includes a number of overpasses out in the middle of nowhere that are too small to serve as the typical road overpass and don’t seem to connect to anything. Those strange overpasses are a part of the new highway design paradigm. They are for wildlife. It seems that bighorn sheep can be a traffic hazard along this stretch of highway and it is hoped that providing the sheep their own overpass will reduce that hazard. The Daily Miner reports that “The Arizona Game and Fish Department has its first confirmed sheep crossing.” It’s a $4.8M project that is hoped to reduce the ten or more sheep hits per year by vehicles near Hoover Dam as well as reduce herd fragmentation. That area holds one of the largest contiguous bighorn populations in the nation. The bridges cost almost $2m each and were built because the sheep didn’t seem to like underpasses. It appears the effort was supported by a good deal of research and consideration of factors involved. There is more at the AG&F Department website, pictures too. The NV DOT says traffic crashes involving wildlife cost an estimated $5B to $8B nationally every year. They provide a bit of history and some selling points for animal crossings. Leslie Linthicum has a mea culpa that cites the effectiveness of efforts to reduce animal collisions. Her column provides an description of some of the methods and techniques that have been tried. The FHA has a book on Best Practices Manual: Wildlife Vehicle Collision Reduction Study if you really want to get into vehicle and animal collisions. There are also some interesting comparisons. The vehicle and wildlife crash incidence rate is increasing yet the crash rate per million miles is decreasing while actual miles driven is not increasing. That would indicate that wildlife conservation efforts are succeeding. The local paper says the LEO’s (law enforcement officers) are being funded by a grant from the Department of Public Safety to launch a speed enforcement effort for a couple of weeks. The focus will be on accident areas and citizen complaints. What that means is that you have to divert your attention from safe driving to being extra careful not to miss any speed limit signs or any police cars or motorcycles hidden along the road in Washoe County. Take care! 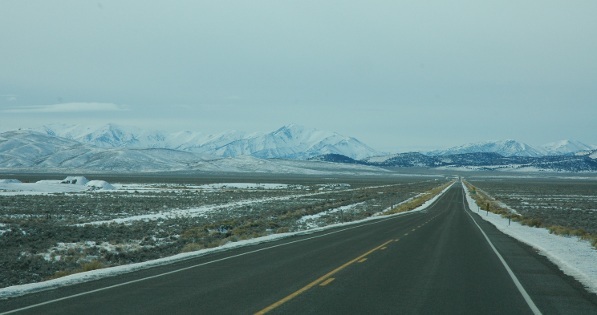 It was just after a doozy of a cold spell in November 2010 so crossing Nevada on US 50 needed particular attention to being prepared and checking the road conditions and weather reports. But winter scenery has its own special attractions. 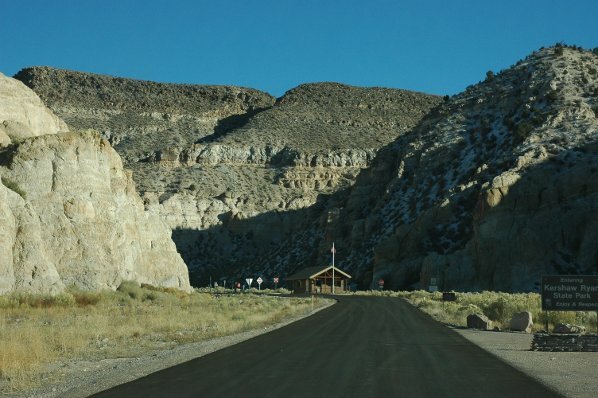 On US 50 in Nevada, there is the Austin to the Great Basin National Park stretch that is mountain pass and valley road with elevations between about 6,000 and 8,000 feet. West of Austin it is Carson Sink territory until you get to the climb to Lake Tahoe. That’s the civilized and populated stretch with elevations around 4,000 feet. It’s the eastern Nevada north and south route between Las Vegas and Twin Falls. 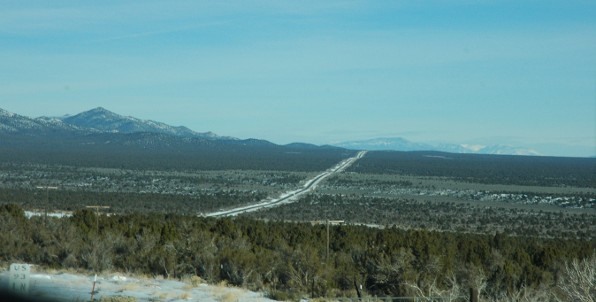 US 93 is designated as the Great Basin Scenic Highway. It follows the valleys between the mountain ranges for long straight uneventful two lane highway travel – with a lot of scenic vistas. There are a number of Nevada State Parks, Wilderness areas, and OHV trails along the route as well as the Great Basin National Park. This photo tour is for the section between I15 and US 50. 2/11/57 – Tried a little fishing – no luck. Drove into town in the a.m. To look-see. Typical Mexican in one section – very modern in another – much building going on – prices too high and weather too hot. Back to camp for a swim. 2/12/57 – to town in a.m. About 11 o’clock for money and gas – tour of town and surrounding mountainside – very, very beautiful. Lunch on hillside – back to camp by 3 o’clock – swim then to pot luck supper by the whole gang – nice warm evening – moonlight – very balmy. Much sunburn – no fish. 2/13/57 – Stayed in camp today – swim in a.m. 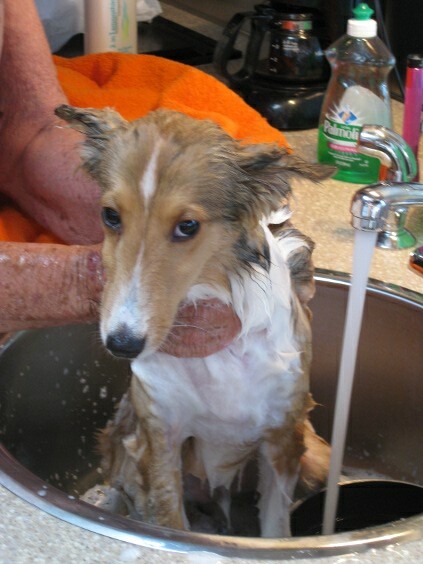 Mom cleaned up trailer – checked car – siesta -etc. Manana fever has got to me – supper. 2/14 – Trip to Papaya River – lots of cocoanut groves – no luck on fish – lunch on beach – bought some expensive things – beautiful drive – no swim – supper in patio – warm. The Sacramento Bee has the story about a lone male wolverine that has been spotted in the Yuba River area along Highway 49. This particular wolverine is the first confirmed in the Sierra Nevadas since 1922. By DNA testing hairs it left in its sleeping areas, the USFS has determined it came from the northern Rockies Sawtooth Range in Idaho, more than 500 miles distant. One wild animal and folks are asking if they can collect money to find him a girl friend. It is really rather amazing that a lone wolverine can’t escape publicity in the Northern California Wilderness. You just can’t hide no matter how hard you try. 2/9/57 – Drove to Taxco with Luckyknotts. A beautiful city on a mountainside. Got a guide to show us how to get up into the city and show us the shops, etc. Silver factory display of all types of silverware – very crude methods but real artistic in design. Visited many shops, old church and plaza – the only live place in the city. Mexico has made Taxco a national monument. Had dinner in the hotel. Very good – patio – Mexican musicians – good service, food, and very reasonable. Back to camp by 3:30. Entertained by the Rotary Club – an evening real good for a small town – 18 members, really put on a show. Marimba band by some local school girls – Mariachi band – lots of drinks and Mexican hats. Everyone was surprised as we didn’t expect very much. Off to Acapulco tomorrow – too hot here. 2/10/57 – Acapulco – Weather very warm. Left at 8 o’clock from Iguala in good order. Good road but we still have our mountains and grades. Lost oil out of transmission, tried to pull over one of the grades too fast. Beautiful drive down here. There have been quite a few cars with transmission trouble. Arrived in Acapulco about 1:30 – nice camp spot – trailer park just off the beach – main highway is along the beach. We have both water and sewer for a change. Nice palm tree and two nut trees in our patio and green grass. Very nice. Swimming after lunch – wonderful – nice, warm water and a beautiful beach. This is one of the most beautiful places we have ever seen. Mountains all around – palm trees, coconut palms, just lots of trees, don’t even know the names of some, and hotels. Beautiful, big, very modern design – just a beautiful place but as a tourist resort – naturally prices are much higher – 2 pesos just to sit on a beach chair. We sit on the sand. Distracted driving comes near the top of the list as a cause of crashes. It is all the rage right now to pass laws prohibiting texting while driving or using a microphone or otherwise trying to mandate driver attention to the task at hand. Drivers engaging in a secondary task may pay more attention to the road. Although many human factors/ergonomics studies conducted over the past few years indicate that drivers who talk on the phone fail to attend to the road and increase the likelihood of an accident, the monotony of driving may also pose an accident risk. New research by HF/E researchers at the University of Kansas, Lawrence, published in Human Factors, suggests that drivers who lose focus on the road because of boredom may actually increase their attention by engaging in a secondary task, particularly during the last leg of their journey. The lesson is that being bored is not conducive to being alert. This sort of study does remind us that we should not drive when we start getting a bit drowsy – pull of the road and take a nap. Don’t get pressured to get somewhere. You can do other things while driving, like talk to the navigator, adjust the radio volume or station, check the GPS readouts, drink a cup of coffee or soda, check the rear view mirrors, keep an eye on the speedometer, examine the road ahead, and other things that keep you alert and don’t pull your attention away from driving for any length of time. Just make sure your eye never wonders far from the road ahead and your brain is ready for any input the road might offer. Not too far east of this is the Hickison Petroglyph Recreation Area, a BLM campground and everywhere in between has a lot of opportunity for dispersed camping if you know what you are doing. See also the public lands information center. The reviews at FreeCampgrounds.com have some useful information, too. They indicate a voluntary $10 fee as of May 2010. Forest Camping also has an up to date description. 2/6/57 – Mexico City – weather very smoggy in the morning, cleared by afternoon, cool nights. Sears new big store, car service, shopping in supermarket, quite a jam. Lunch at Sears. Met at Isabel Serralde Camp at 2 o’clock. Checked car. Supper – lamb roast with our friends – cars. Nice day. Clothes back from dry cleaners. Gas for caravan. 2/7/57 – No trip today. Stayed in camp to clean up. Lots of smog in a.m. Evening pot luck supper with the whole caravan – very nice. Arranged to spend the evening in town to see native dances. Took taxi cab. We missed the event – too early and didn’t know we were at the right place – back to camp – on the road tomorrow. 2/8/57 – Iquala – Weather very warm – Left Mexico City 8 a.m., near front of the caravan. Mexico City is a very large city and with the crazy drivers, etc,. Would be real easy to get lost. Good road to Iquala but lots of mountains and grades. Hot on arrival. Camp next to army garrison. Arrived about 2 o’clock but too hot to do very much. Supper outside. When you’ve got harder rocks on top of softer ones tied in with exploding calderas and long forgotten lake beds, you get some interesting geological features. Cathedral Gorge is another spot set aside along US 93 in Nevada to see such features. 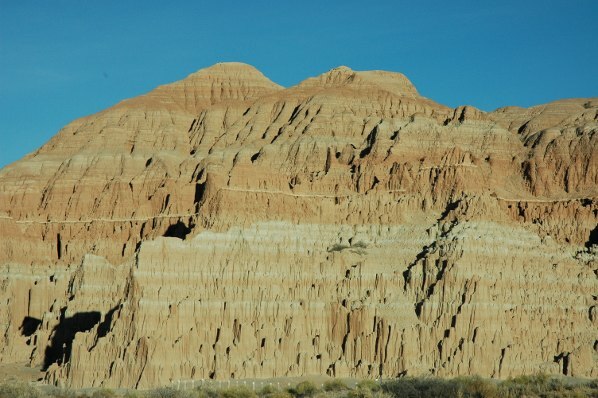 It is a rather broad and flat bottom valley with some interesting colors, along with some of Nevada’s own hoodoos. There is a visitor center and a nice campground. At the north end is Miller’s overlook with access to some trails and views from the top end of the valley. Camping is back! Starting nearly 20 years ago, an effort to rebuild to park got underway. It had been pretty well trashed by flooding and needed a lot of work. Kershaw Ryan State Park was reopened in 1997 but the camping facilities were not available until 2009. The park has three trails, two of which are only a half mile long. Its focus is on afternoon parties in its group areas. The state web page does say it has an rv dump station and coin operated showers. It is only a couple of miles off US 93 so it might make a good overnight stopover point. 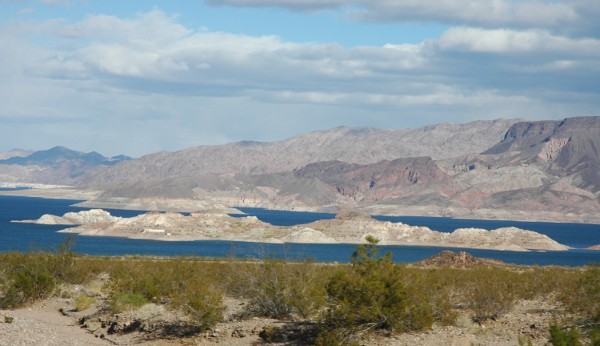 You can bypass Las Vegas to the east if you don’t mind a scenic drive around Lake Mead. It is a National Recreation Area and you’ll need to pay a fee to enter. There is access to the lake and a number of campgrounds ranging from full featured RV parks to dispersed camping. The commercial facilities are run by concessionaires for the NFS. At the north end you encounter the red colored rocks and interesting geological features. You can get back to I15 by a transit through the Valley of Fire Nevada State Park (another fee) or you can visit Overton. The summary of Public Law 109-432 describes the charge to the BLM to create wilderness areas and the Silver State Off-Highway Vehicle Trail in White Pine County. You can see roadsigns along US 93 and NV 318 for access points. Maps can be found at Nevada Trail Maps or you can get a Google Earth kmz file at Offroading Home (Nevada Trails). The trails and scenic areas could make for good day trips while you are stopped at one of the several Nevada State Parks in the area. 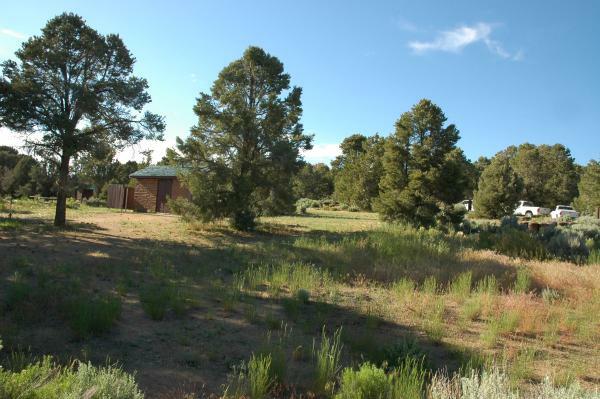 You might also find some good spots for dispersed camping as much of the trail appears to be mining and ranching road. Parts would definitely not be suitable for an RV but then there just might be some spots with roads sufficient to RV access with due care. maybe. Out in the Airstream, Wheels and Doris have logged a few adventures and share pictures. See their travelogues page. Andy went along for the ride, too! See pictures of the Armstrong Air and Space Museum, the Airstream Factory in Jackson, and US Naval Air Station in Wildwood NJ in 2008. There’s a photo gallery of a Zip Dee awning that suffered some damage. Also see the pictures from the Region 12 rally in Santa Maria, CA in 2009. 2/2/57 – Mexico City – weather good, a little cloudy. Left Toluca at 8:30 – slow travel, many trucks and buses – climbed up over 10,000 feet – everything went O.K. – real climb – arrived outskirts of Mexico City about 10:30 – two hours to reach camp. Nice spot – athletic park – very large sport games at all times. Meeting at 1:30 – tours outlined – tickets for floating garden at 9 o’clock tomorrow (Sunday) – only day to visit gardens and Palace of Fine Arts. More trips later. No camp entertainment tonight. 2/3/57 – Off at 9a.m. – bus tour – Fine Arts bldng – glass curtain, etc. Mexico City Center – very large. Smog but cool nights and wonderful days. City has many new and modern buildings. Traffic is a mess. Trip to Xocimilko gardens. Very interesting. Flower section – flower stands along highway. Boats waiting for us. 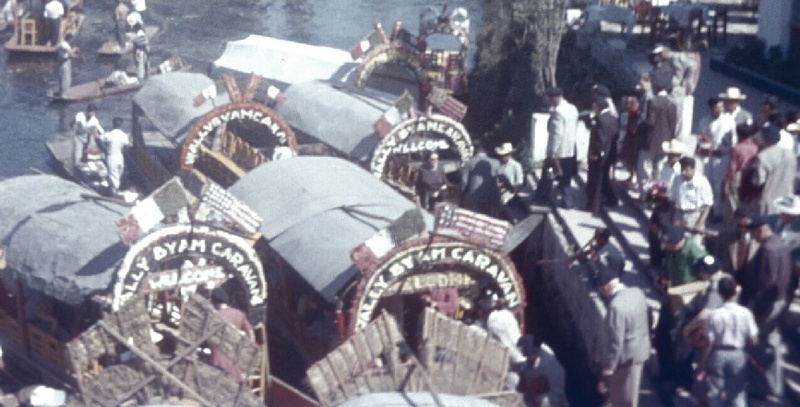 Five buses of caravaneers – a sight no one can describe – gaily decorated boats – canal narrow, not too deep, crowed with boats, vendors everywhere, music of all kinds. Bought two pictures and earrings. Home by 2 p.m. Lunch with the Luckyknotts – siesta time – vespers service at 6 – very good – evening with our friends. 2/4/57 – Same bus and guide – Shrine of the Virgin of Guadelupe – Maguey factory – needle threads, paper, rope – many uses. To pyramids. Lunch in the cave – lava blow-hole. Monastery – back to camp by 5 o’clock.